This week I tasted the most exquisite French wine. With the help of my French friend, I felt like Goldilocks who had found something that was ‘just right ’ for her. After drinking this nectar of the gods I could appreciate that wine was considered a sacred drink in the past and is still celebrated at every mass. It’s not hard to describe this beautiful drink- light, fresh, soft but not sweet, warming to the heart (after the first swallow it felt like it was circling around my heart and warming it in a liquid embrace). Well, it is French wine after all so naturally It fosters a more poetic description! 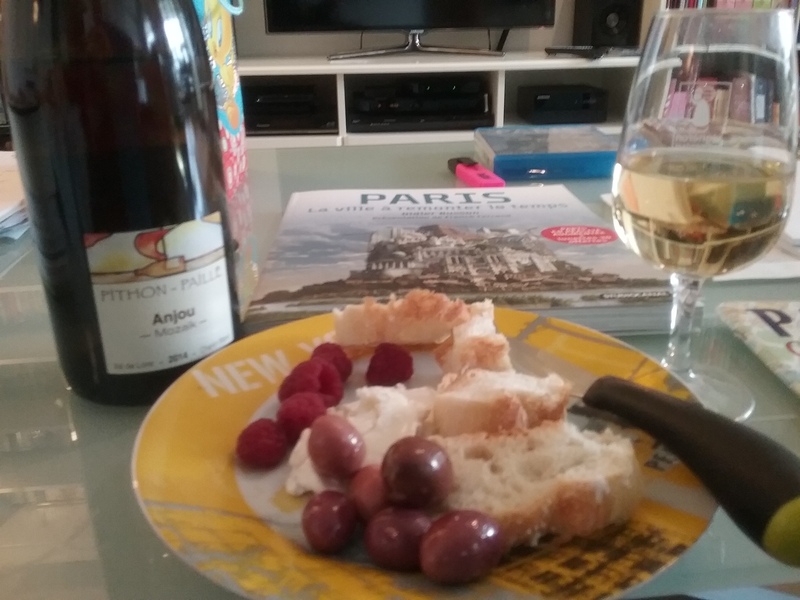 Of course the goat’s cheese, raspberries, strawberries, olives and freshly baked baguette from the local market, helped me savour the wine even more. Savouring is such an important and joyful thing. When I recently studied a mindfulness course, one of the key lessons for me was that in giving yourself fully to the appreciation of life in little ways, the overall quality of your life improves in every way. I’m sorry to say this Australian wine, but it’s over between us. Yes, yes, I have loved your wines like ‘Nepenthe’ from the Adelaide Hills, Cape Mentelle from Margaret River in Western Australia, 42 degrees South from Tasmania, but I can never feel the same way about you again. It’s not you, it’s me and so that’s it, it’s over! What a lovely treat! Ah I miss France very much and you bring back such lovely memories.